The MidiVerb™ 4 is the perfect effects processor for professional project studios and musicians who require an affordable solution for fully-programmable, high-fidelity effects. Its excellent effects algorithms produce dense, natural reverb, rich chorus, flange, delay, pitch effects and up to three simultaneous multieffects. 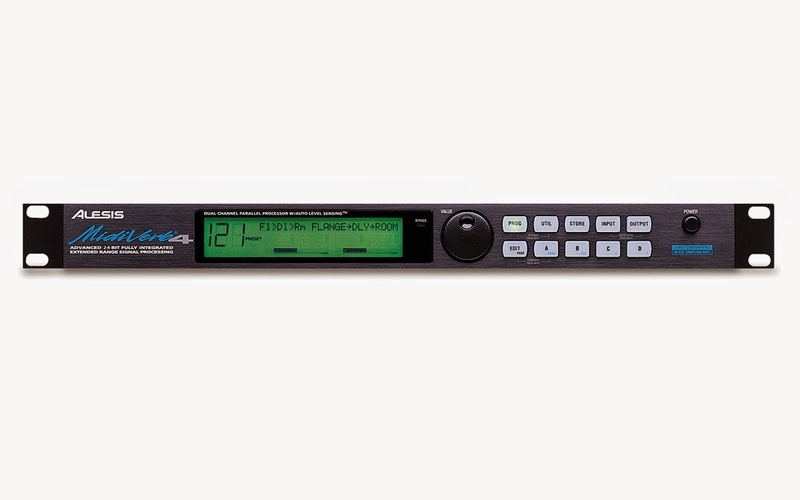 The MidiVerb 4 offers 18 bit A/D and D/A converters and 24 bit internal processing for a 20Hz-20kHz bandwidth and 90dB dynamic range, making it ideal for digital recording. Plus, its valuable Auto Level Sensing™ feature can instantly set the optimum input levels...a great time-saver. MidiVerb 4's thirty-two effects algorithms give you a complete arsenal of fully programmable effects, many using true stereo parallel processing. You can take advantage of the 256 powerful programs with 128 spaces for user-created effects. With its easy-to-use graphic interface, programming your own effects is a snap. And by using MidiVerb 4's MIDI controller routing and assignable footswitch input, you'll have complete creative control over every aspect of your sound.